‘Pathways to a low carbon future’​ outlines recommendations to be considered as a minimum necessity to set the UK on track to achieve the emissions reduction targets of the fifth carbon budget. It states that removal of a route to market for pot 1 technologies, such as solar, has proved to be one of the biggest barriers in the industry. It also points to a Competition Markets Authority assessment stating that this choice also represented “a poor deal” for consumers. 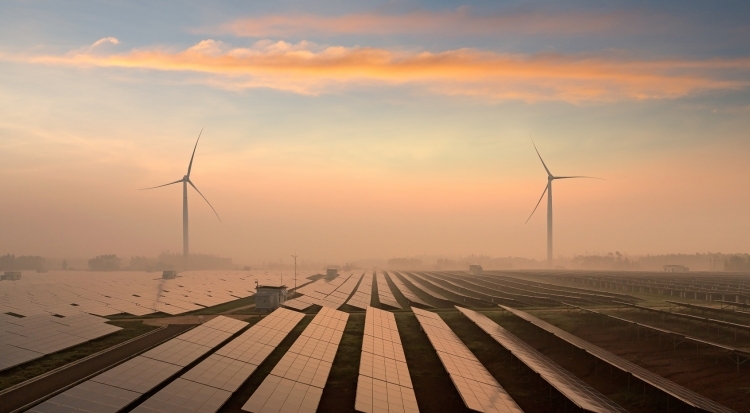 Energy UK recommend that post-2020 established technologies like solar, combined with more stringent planning regulation, would allow such projects to be built where needed by communities that want them. It would also deliver cheaper energy from renewable sources from a UK supply chain that has already been hit hard by cuts to government subsidy. The recent closure of the Renewables Obligation is likely to add to this, with deployment of large scale solar expected to slow in the absence of government support. Energy UK’s report also calls for Contracts for Difference (CfD) auctions, which have excluded solar as an eligible technology since the end of 2015, to be carried out on a rolling one year basis to provide visibility of long term support for low carbon technologies. Other recommendations within the report include a set of controls to replace the Levy Control Framework when it concludes in 2020/21 to provide real oversight of policy costs and visibility of funding set at least four years ahead of project delivery. The future of the LCF, which acts as a budget mechanism for the government’s spending on low carbon technologies, remains unknown as chancellor Philip Hammond failed to provide certainty in his most recent budget. Pressure has grown on the government to address the failings of the LCF after a National Audit Office report found a series of management failures by the former Department of Energy and Climate Change which had led to the government’s radical cuts to existing subsidies. The future of the LCF is due to be set out in the Autumn Statement, although there are hopes that some indication of its status could be revealed in the Clean Growth Plan, although this in itself sits “in a holding pattern” in light of this week’s general election announcement. Energy UK’s report also calls on the government to address the heat sector, which it calls “the biggest and hardest challenge for decarbonisation at large scale”; to develop a long term vision for the take-up of energy efficiency, including designating it as a national priority; and to improve the understanding of the impact electric vehicles are set to have on the UK’s networks. Many have argued that this has often been overlooked, with Sam Goss, investment director for energy at Octopus recently stating at the Energy Storage Summit that the volume of EVs due to come on to the grid “is being relatively ignored”. A new report by the Green Alliance has suggested that as few as six electric vehicles located near one another could lead to unplanned drops in voltage – potentially damaging electronic equipment.